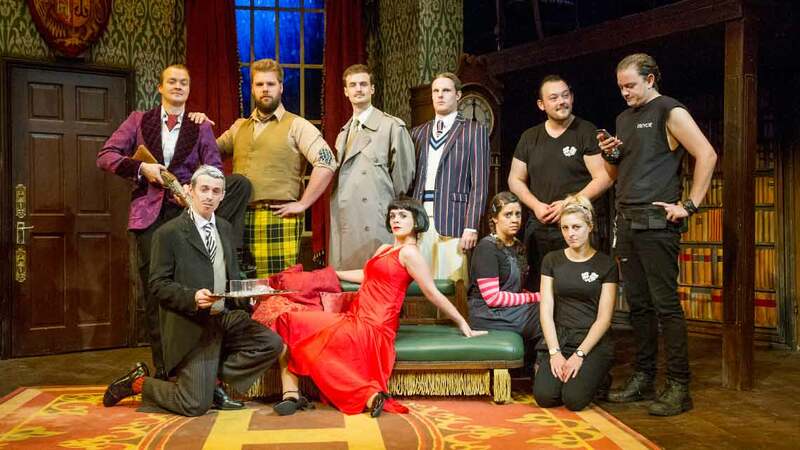 The smash-hit slapstick comedy The Play That Goes Wrong at the West End's Duchess Theatre. 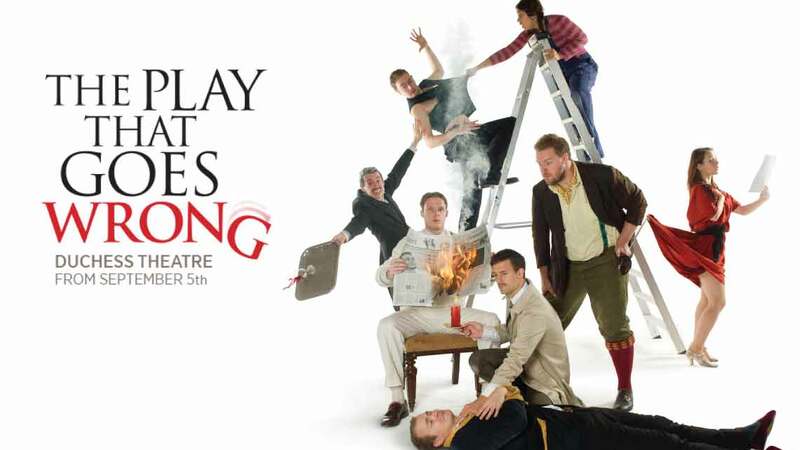 The smash-hit slapstick comedy The Play That Goes Wrong now heading into its 4th disastrous year at the Duchess Theatre. 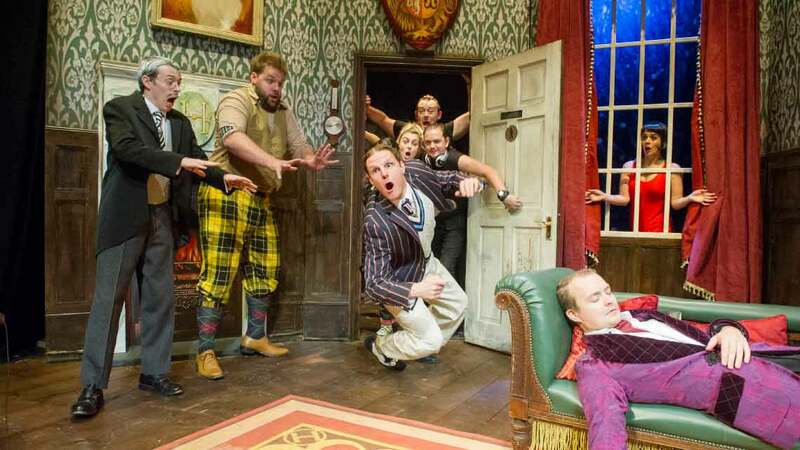 Winner of the 2015 Olivier Award for Best New Comedy, The Play That Goes Wrong is the hilarious show about a hapless group of amateur thespians who attempt to stage a Murder Mystery evening – with disastrous results! Using traditional farce and Buster Keaton inspired slapstick, the show has wowed audiences on London’s fringe and on a major UK tour, and is now set for an acclaimed residency at the Duchess Theatre in the West End. Co-written by Mischief Theatre’s Henry Lewis, Jonathan Sayer and Henry Shields, and directed by Mark Bell, the show is produced by Top Hat The Musical producer Kenny Wax. The Play That Goes Wrong is booking until 27 October 2019 at the Duchess Theatre, London. When the Cornley Polytechnic Drama Society attempt to stage a Twenties murder mystery evening they have high hopes for a smash-hit… but smash is all they get as everything that can go wrong, does go wrong! But the accident prone thespians battle on against all the odds to get to their final curtain call. The cast features Katie Bernstein, Jason Callender, Edward Judge, Alastair Kirton, Edward Howells, Meg Mortell, Graeme Rooney and Patrick Warner. Buy The Play That Goes Wrong tickets at the Duchess Theatre by using the Search Box at the top of the page or by clicking the Buy Now button above. You will be purchasing tickets via our preferred ticketing partner Encore Tickets, who are a fully bonded and licensed ticketing company and members of STAR - the Society of Ticket Agents and Retailers. Encore offer real-time ticketing with confirmed seat locations at the time of booking so you know your seat numbers before you book your The Play That Goes Wrong tickets. Why book The Play That Goes Wrong tickets with us?